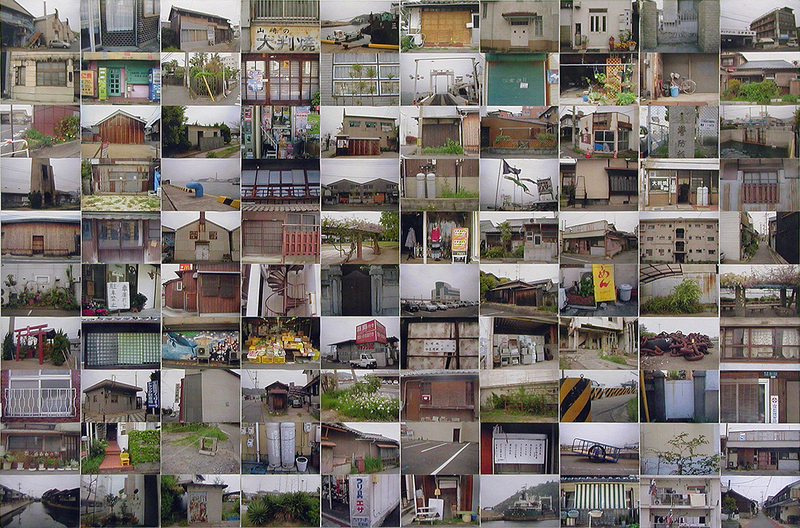 After the 2011 Tohoku earthquake, there were numerous reports on photographs recovered from the tsunami-stricken sites being returned to the owners. For those who lost their families and properties, receiving their precious photos meant remembering how things used to be. Tonankai and Nankai earthquakes are predicted most likely to occur in the first half of this century, and to cause severe quakes and tsunamis. According to the Tamano tsunami and the high tide hazard map, the surrounding areas of the Uno harbour ferry terminals are said to be in danger of a meter-high flood; however the data is based on 09/2007’s findings, and my associates at the harbour now predict tsunami of over 5 meters high. In April 2012, I strolled around the harbour and photographed the sceneries of Tamano I wish never to lose. My artwork “Driftcards” resembles the “would-be postcards from Tamano after Tsunami”. The postcards show water-damages, as if they have been submerged in muddy waters.